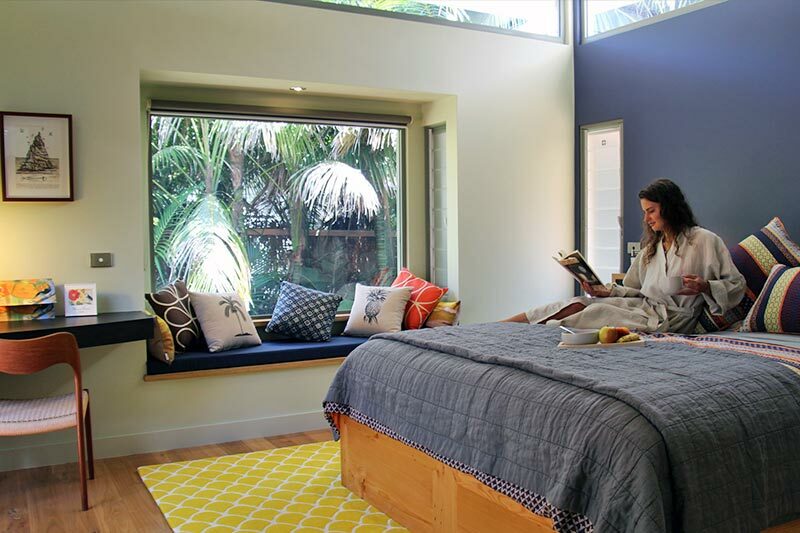 Centrally located opposite our gorgeous lagoon, Bowker is an easy stroll to all amenities. Entrance is by a stunning boardwalk which winds through one of the last remaining examples of native foreshore forest, providing a hint of the unique Bowker experience. 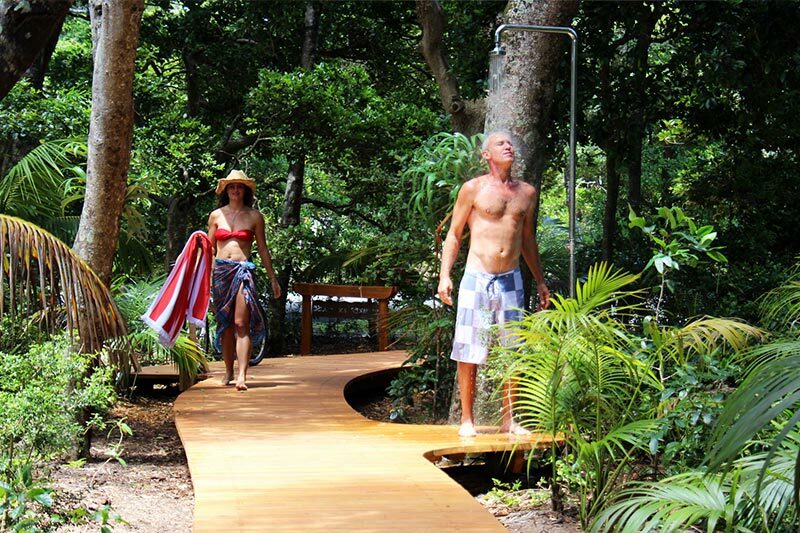 Timber decks nestle the beach house into the forest, and provide lots of relaxing areas. Maximise your holiday experience with pushbikes, paddleboards, single and double kayaks, snorkelling gear, beach chairs and sombrilla, picnic hamper, yoga mats, backpacks and hiking poles all included. 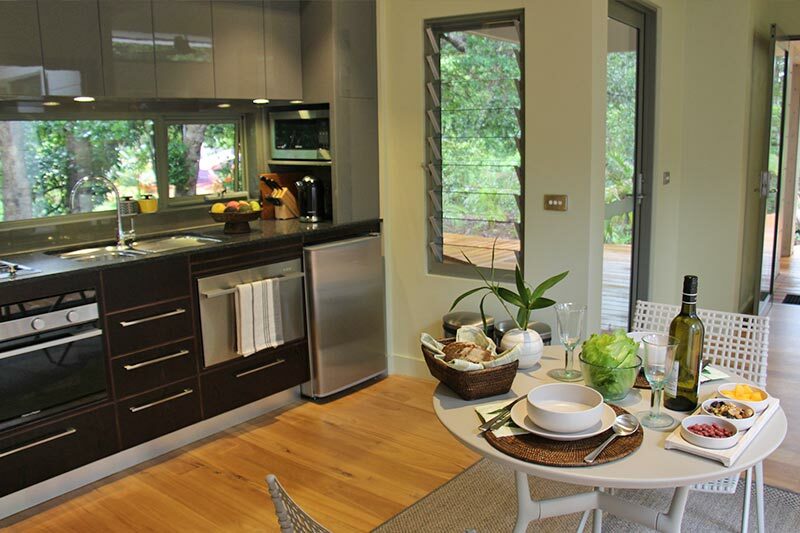 Fully equipped kitchen- dishwasher, coffee machine, drinks fridge. Gourmet nibbles, breakfast provisions, wine, champagne and beer selection. 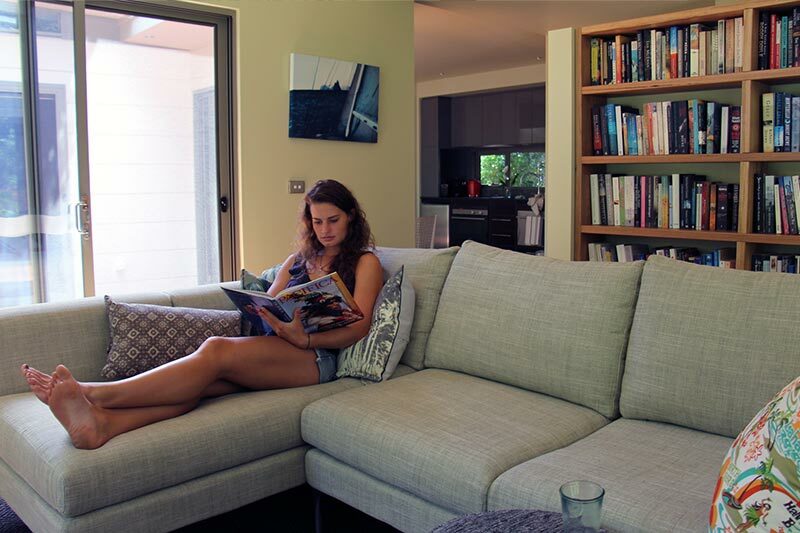 Airy lounge with full book and DVD library, Foxtel, Bose Bluetooth sound dock, big window seat and superb Haiku overhead fan. Sensational bathroom with stunning bath, glossy porcelain tiles, double vanity, heated towel rail, luxurious toiletries, robes and slippers. Bathroom features porcelain tiles, deep bath, double vanity, luxurious toiletries, Sheridan robes and slippers. 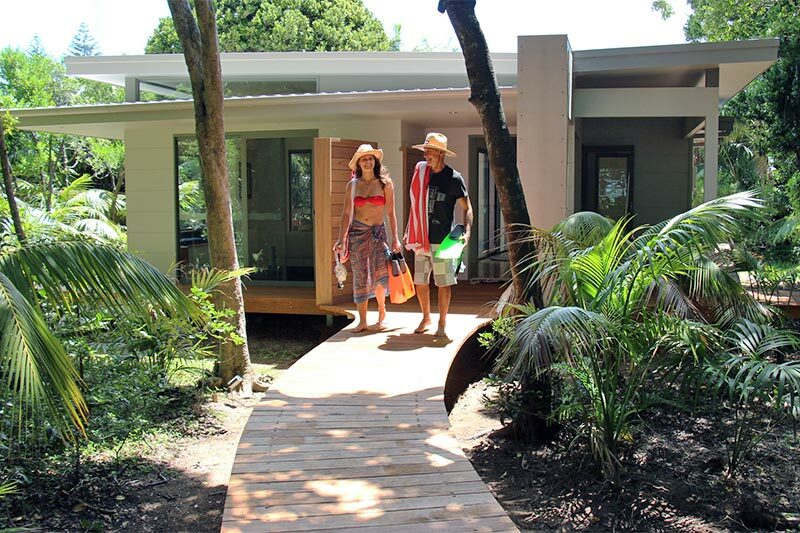 All rooms open onto furnished timber decks featuring outside dining, Weber BBQ, sun-lounges, and outside shower. Daily service and transfers included.